Another batch cause these are super fun to make! 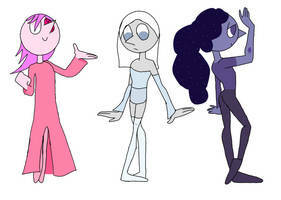 I really like the 3rd pearl (:! oh my gosh i read it wrong! alright! ill customise a pearl for you if that would be ok? Yeah that would be lovely! which Gaia would you like ^^? but thank you for letting me look! would you be interested in any of these characters? perfect! do you have toyhouse so I can transfer her over?